If you are a group and want to visit the Galapagos islands, the perfect choice is to charter a private boat and enjoy the beautiful Galapagos Islands. 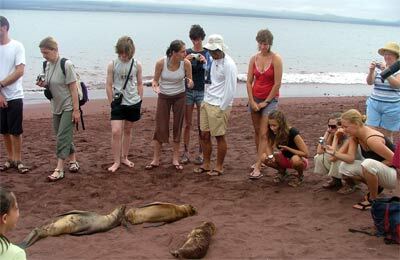 We help you to develop and plan your trip to the Galapagos Islands. The Galapagos Islands present a very exciting and different yacht chartering experience for families, friends, partners, companies, universities, colleges, high schools, etc, with specific needs and requirements. We pay particular attention to safety and comfort while allowing you an opportunity to have an adventurous learning experience together. We advise you to choose the tour that suits your needs can be a charter such us:boat charters, fishing charters, yacht charters, sailboat charters, sailing charters, catamaran charters, cruises charters, etc. The archipelago, which is on the equator in the Pacific Ocean and 600-miles west of Ecuador, consists of 15 islands and numerous islets. More than 97% of the land and all the surrounding water are dedicated as the Galapagos National Park and Marine Reserve.